What is a Project Social Ambassador? 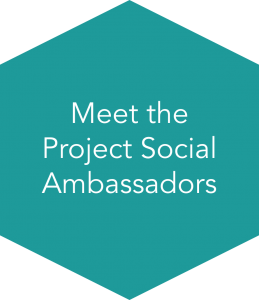 A Project Social Ambassador is someone who shares our desire to raise awareness, build support and create helpful solutions for those with Non-Verbal Learning Disability. Ambassadors are those that will enthusiastically utilize their own network to spread awareness and are passionate about the cause. The NVLD Project’s Social Ambassadors are champions in telling both their own story and our story. 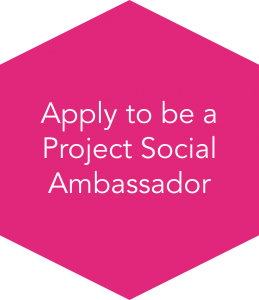 What does a Project Social Ambassador do? 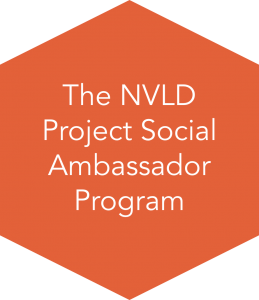 The Project Social Ambassadors will spread awareness and raise support for The NVLD Project using their own social media networks and influence throughout the span of one year. Ambassadors will promote events, campaigns and posts by The NVLD Project, including Giving Tuesday. Ambassadors will share their story and advice with the NVLD online community. Write one blog post for The NVLD Project every four months (three total per year). Create a personal fundraising campaign during Giving Tuesday. Post and share provided content from The NVLD Project once a month. Use #theNVLDproject and #NVLDambassador on posts on social media that relate to Non-Verbal Learning Disability. Have at least 500 followers on your combined social media platforms. Follow the application process and submit all required documents along with your application. Applicants who meet the requirements listed above are not automatically guaranteed an ambassadorship. Submitted applications will be reviewed by The NVLD Project and applicants will be contacted within two weeks.